The fourth day of FIBA Europe Division A youth event is the start of the second phase of the competition known as the qualifying round for the top 12 teams. For the bottom four teams it is life in the classification also known as the relegation group. For the first time since the creation of the two divisions three teams will be relegated. 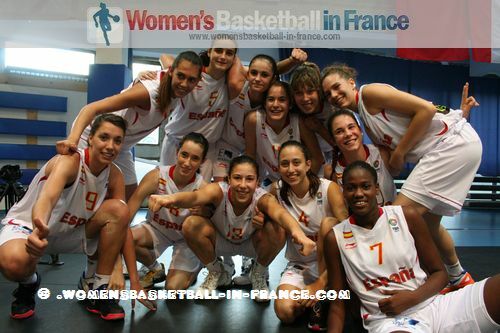 France suffered their first loss of the championship against Spain despite leading by 13 points during the third quarter (49-55). 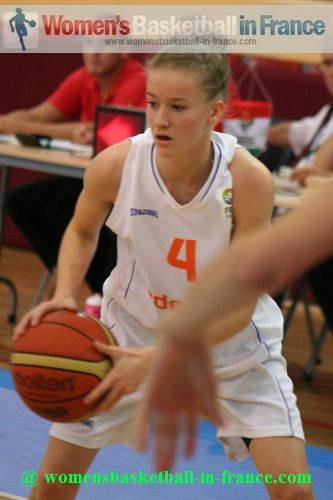 The hosts Hungary made light work of Greece (74-42) while short handed Netherlands fell to the Czech Republic (52-68). Russia scored 44 points in the paint to beat Sweden to win (61-37) and hence remain unbeaten. Belgium were given a tough test by the Slovak Republic but are yet to be beaten after walking away with a (59-47) victory. Russia and Belgium are the first teams to qualify for the quarter-finals. 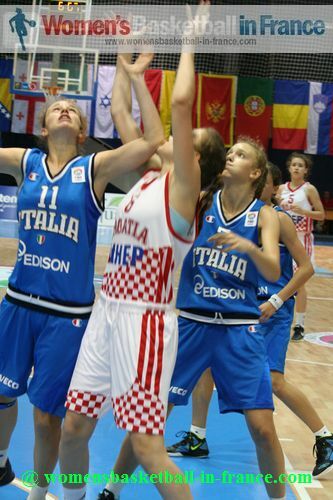 In the last match of the day, Italy came to life to win against Croatia (61-46). Earlier in the day Turkey beat Germany (59-56) while Serbia defeated England (71-39). 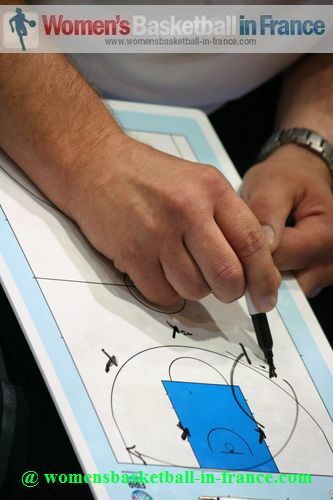 You can move to any of our FIBA Europe U16 reports by clicking on the links below or by scrolling down the page. 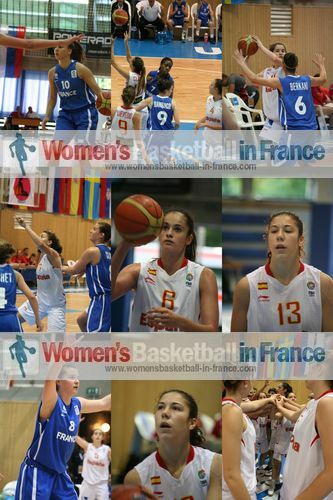 France and Spain have played a few preparation matches already this year so the observation did not last long. Cristina Molinuevo knocked in a trey for Spain with the first attack of the game. 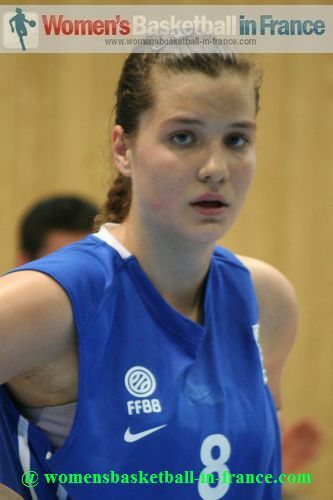 France needed almost two minutes to score with a three-pointer by Alix Duchet from the top of the arc. 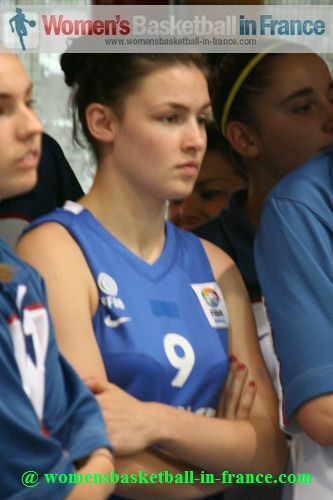 Duchet scored again for France on the fast break and was fouled in the process. 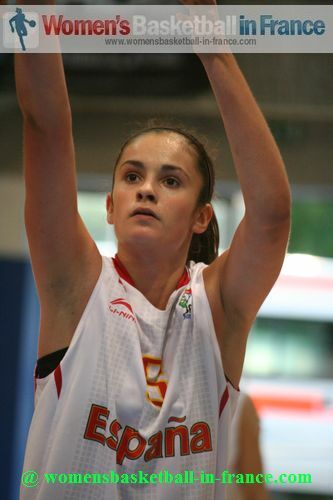 She hit the free throws for France to lead early (6-3). Defense was the order of the day but Spain regained the advantage with 4 fast-break points to lead (7-6) with five minutes played. Spain switched to a zone that led France to turning the ball over a number of times that enabled their opponents to open up a 5-point lead by the end of the first quarter (17-12). 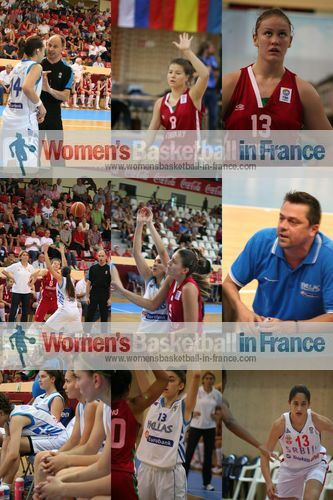 France continued to shoot from far at the start of the second quarter with some success. With 5:37 to play before the break the teams were on level terms (21-21) with a tear drop shot from Duchet. Spain remained scoreless for the last eight minutes of the quarter while France scored 12 points to enter the locker room leading (21-29). 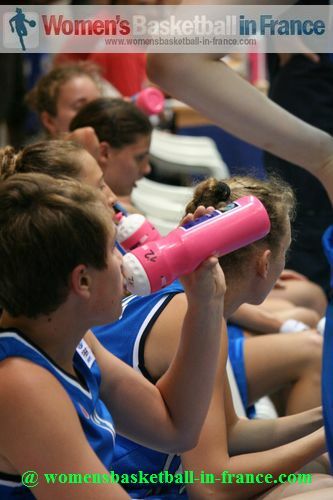 It sometimes happen at FIBA youth events that strong teams just lose their way in a match. Spain were in all kinds of trouble in attack and France took advantage to go 13 points clear (38-25) with Marylie Limousin and Lisa Berkani leading France. 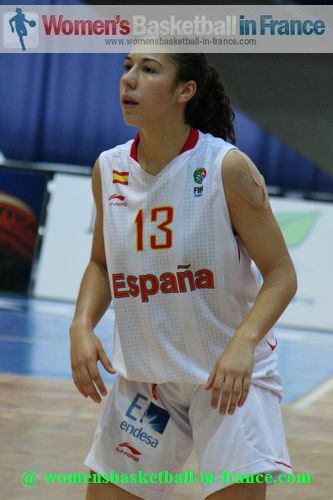 Spain have a player by the name of Angela Salvadores. 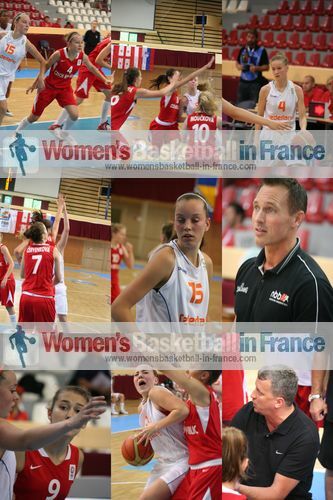 She suddenly caught fire and in a space of two minutes the Queens of FIBA Europe U16 basketball hit France 10-0 and were back in the game. It was the turn of France to suffer and by the end of the quarter France's advantage had been reduced to 2 points (40-38). Salvadores levelled the tie (40-40) with the first attack of the final quarter. 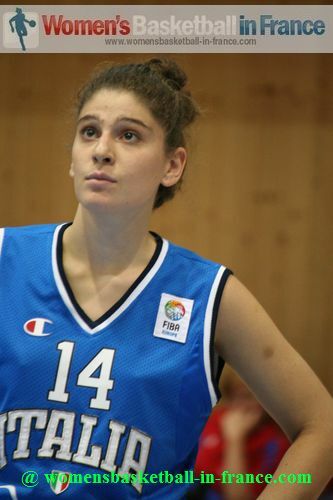 However France quickly regained the lead with a three-point play (And-1) by Mathilde Combes. All the same the pendulum was swinging permanently in the direction of Spain with Laia Flores and Laura Quevedo dictating the pace. In addition Spain started to win all the duels. With just under four minutes to play they appeared to have the game under control leading (50-45). Spain kept on switching defences. No matter what France did they could not get back and ended up losing (49-55). The tear of Berkani at the end of the game summed up the French defeat. 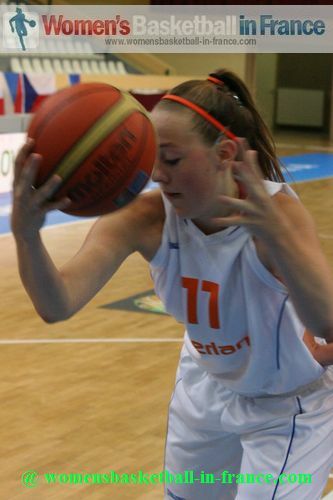 From this round the Netherlands are without Emese Hof who has joined the team preparing for the FIBA Europe FIBA Europe U18 European Championship for Women. Also Beau Baars' injury meant she could not play either. All the same the Netherlands got off to a better start and led (9-4) after five minutes due to their ability in picking up second chance points. However the Czech Republic were patient. By slowing the pace down they reduced the deficit by the end of the first quarter (12-13). 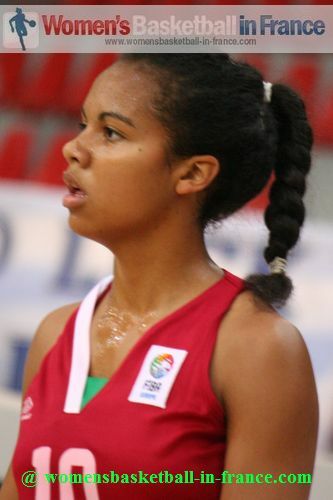 In the first five minutes of the second quarter the game was tied on three occasions before the Czech Republic got on top (22-21). 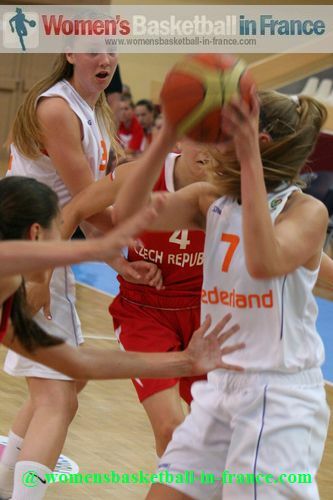 The Netherlands switched to their zone but the Czech Republic had been prepared and found ways to break it to complete a 10-0 run before going into the locker room ahead (29-23). 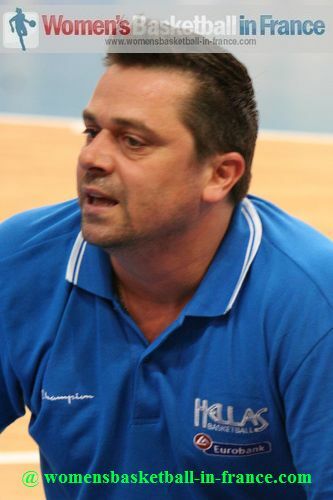 Richard Fousek, the coach from the Czech Republic was not happy with his girls despite them leading (53-42) at the end of the third quarter. His players dominated the quarter and hit 9-of-14 from the field but failed to put the Netherlands away. The Netherlands had not given up and were in the match thanks to their hustling. The Netherlands tried everything to stop the Czech Republic from scoring. But with their opponents playing zone the scoreboard hardly moved in the first five minutes of the final quarter. In the last five minutes neither coach used any real systems and the players were left to make their own play which made the finish interesting. 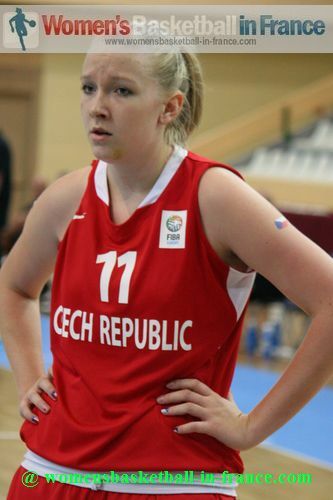 The Czech Republic won (68-52) with once again Gabriela Andelová leading the way with 16 points. There was no time to blink at the start of the game with Hungary racing out to an early lead (14-6) with five minutes played. Ágnes Dobos was unstoppable in the paint while Debora Dubei was not missing much as their side went on a 17-0 run to end the game as a contest by the end of the first quarter (37-14). By the interval Hungary were leading (42-18). The second half turned into a training match for the hosts who ended the game with their bench players on the court. Italy had the better start leading (6-2) with just two minutes played. But then they went cold without hitting a field goal in over five minutes. In that time Croatia went in front (10-6). 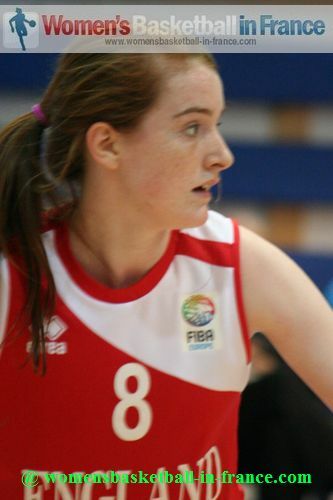 Things were looking good for Croatia in the dying seconds of the first quarter after Antonija Bozic connected from the land of many (17-9). 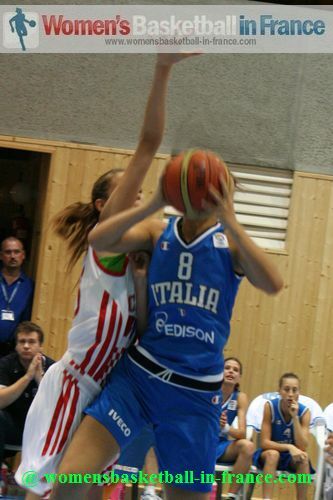 Yet they did not cover their backs and Sofia Vespignani from Italy managed to hit a running jump shot on the buzzer (11-17). 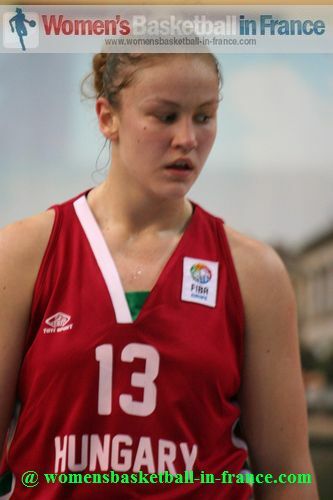 Treys by Bozic and Iva Slonjsak for Croatia (23-13) forced an Italian time-out 90 seconds into the second quarter. 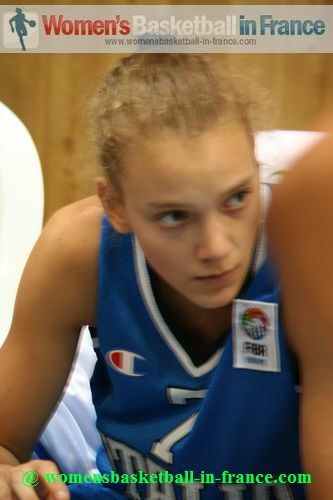 When the play resumed it became the Cecilia Zandalasin show as she scored 8 points in an Italian 10-0 run. Although Croatia did not panic Italy were beginning to dominate in the key areas of the game as they drew level (27-27). Croatia only scored 1 point during the last five minutes of the first half while Italy opened up a slight advantage going into the locker room (32-28). Italy ended the game as a contest with a 12-0 run to start the third quarter (44-28). Croatia's only points in the quarter came from the free-throw line as the game looked as it was fizzling out with Italy (47-32) in front. Back to back treys by Bozic at the start of the final quarter lifted Croatia and rattled Italy briefly. 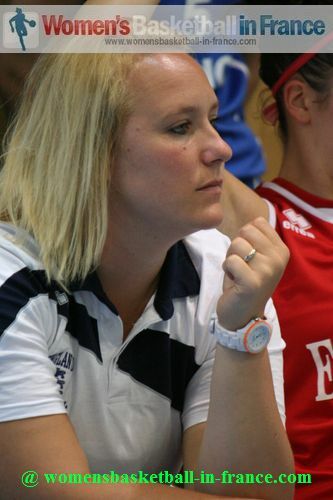 However Italy recomposed themselves to end up winning with a comfortable margin (61-46).